See the homes for sale in Four Ponds Lincroft. 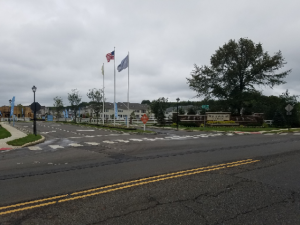 Four Ponds at Lincroft is an upscale community of townhomes. 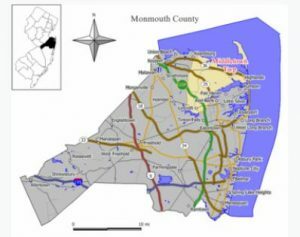 Because it’s located in Middletown NJ, it’s in an ideal location. It’s an easy commute to New York via train or bus. And furthermore, many people take the Sea Streak Ferry. The Garden State Parkway is minutes away, as is exciting Red Bank and the Jersey Shore. Construction started in the townhomes in 2017. Seven different models of homes are available offering three bedrooms and a two car garage. Each homes has three levels in addition to a basement. Homes sizes can range up to 3,400 square feet of living space. When purchasing new construction it’s in your best interest to visit the community with a Realtor who is experienced in new home sales. Remember – the person at the sales office works for the builder, not for you. In fact, the Reimans have sold many new homes and have ideas which can save you thousands of dollars. Four Ponds at Lincroft has a versatile clubhouse which is the perfect location to host a party or socialize with your new neighbors. The clubhouse has a state-of- the art fitness center, a playground for the children, walking paths and a community pool. When students from Four Ponds Lincroft enter school they will attend the Middletown School District. Younger students will attend Lincroft Elementary School and middle school children will go to Thompson Middle School. And when students beg in high school they will go to Middletown High School South. Also, there are numerous private schools in the area. As of January 2019 this community has new construction only. 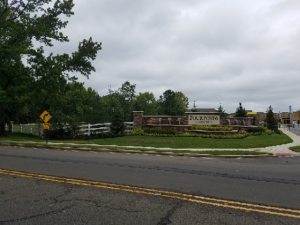 Call 732-598-7700 to see the Four Ponds at Lincroft Townhomes For Sale.